Giving a motivational speech can be a tricky affair and it's made even harder if it has to be made in a recession. The approach should be to pick out as many positive items as possible to say and at the same time to be honest about the challenges ahead. If staff think that you're glossing over the difficulties ahead then they will be less likely to follow your lead. You need to be upfront about the situation you are in and positive about the challenges ahead. The most important thing is to time the speech so that you have some good news or a new initiative to announce. If the only news is bad news then hold fire for a while. 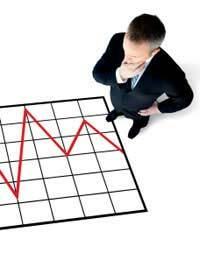 Start with an assessment of the current economic situation and describe your company's position. As we’ve already said, don't pull the punches but be careful to describe the position in as neutral a way as possible. Bring in comparisons with other companies. For example: don’t say "We're doomed, things are really bad" but instead say that although the companies' products are good and make sound economic sense, the company's sales are down." Use comparisons with other companies in your sector so that staff realise that the recession is affecting everyone. You want staff to fight so that your company is one of the ones that survives, not give up and become ineffective. Explain why the recession exists so that staff realise the problem is not their fault. Show comparisons with competitor performance. If your company comes off badly, make it clear this gives something to aim for. Example: Money is scarce at the moment so we will have to make every penny count. The recession is hitting every company in the market at the moment, the good news is that all our competitors will be in the same boat and if we are strong we will be well placed to make gains in the current situation. Deliver the plans that you have for the company to survive the recession, assuming you have some. If you don't, then cancel the speech if at all possible because it will not have any beneficial effect. Examples: If we all pick up those little things we see where money is wasted / opportunities exist and tell each other about them they will spread faster. Don't start looking at other people to see how well they are doing, look at yourselves and ask if you're doing everything you can. Making a sacrifice can be tricky as you need to find something that will make a difference and wouldn’t look like just a sop to the staff. Giving up an ostentatious company car and replacing it with an ordinary saloon is a good example. As we mentioned above, use 'we' and 'our' throughout a motivational speech, particularly in a recession, not 'I' and 'you'. Using 'I' will make it seem that you are more authoritarian, and if you say 'you' all through it then everyone will think you're not going to be helping out either. When you give bad new, sandwich it with two positive items. So, for example, instead of saying sales are down, say our market share is up and although sales are down they are down for all companies so there's a chance that we can steal some ground from our competitors. Above all stay positive throughout. Avoid words that have negative connotations like 'but' and 'however' and replaced them with 'and'. It might sound odd at first but it will become second nature after a little practice.